If the homeowner has a large branch or branches or section of a tree that is over a house, a patio or over a popular foot traffic area – creating a potential safety hazard – and yet the homeowner wants to retain the tree. The homeowners have what we term a ‘landmark tree’ – perhaps a tree 50 years or older, that graces the property and is just a magnificent tree – and they want to preserve the tree for as long as possible, yet it has some structural issues that make parts of it unsafe. The homeowners have a very large tree and they want to save the tree, yet it poses a hazard due to its sheer size. Each of these scenarios provides a unique challenge for PPM’s tree cabling specialists. At its core, cable bracing trees involves taking specialized tree brace hardware, drilling it safely into a section of the tree such that it does not harm the tree, and then adhering lag bolts and cable wires such that the taut wires support the affected part of the tree. But knowing where and how to fashion the cables such that the cables provide maximum support with minimum intrusion – this is where the experience and expertise of PPM’s tree cabling professionals is of greatest value. Obviously, to cable a tree incorrectly can have quite significant consequences – so don’t risk your tree limb support to just anybody. Call PPM Tree Service & Arbor Care. 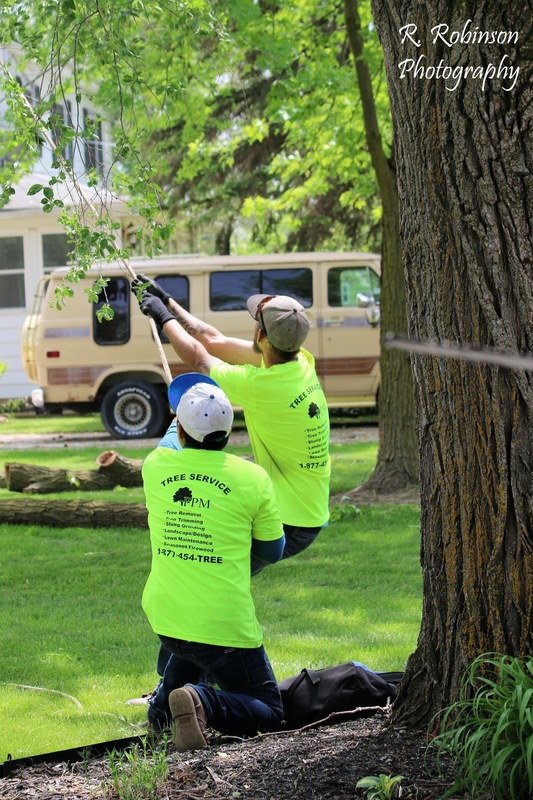 As with our other services, we will advise you on how to save the trees or the parts of trees in question – while advising on any other issues related to arbor care.